Sence Copenhagen Destiny Bracelet White Agate Worn Silver. 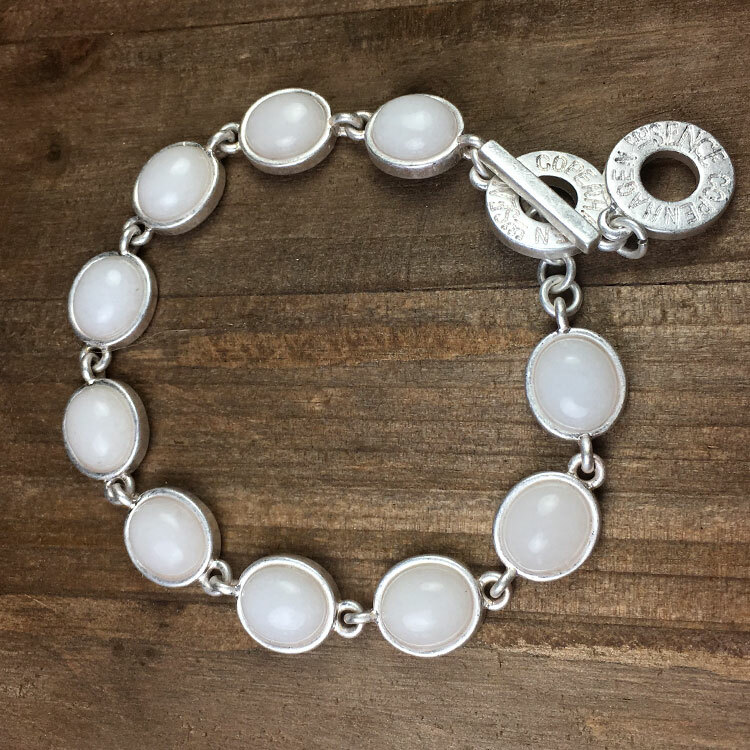 Featuring a row of tactile white agate stones, set in worn silver oval casts and finished with a t-bar fastener – the perfect gift. 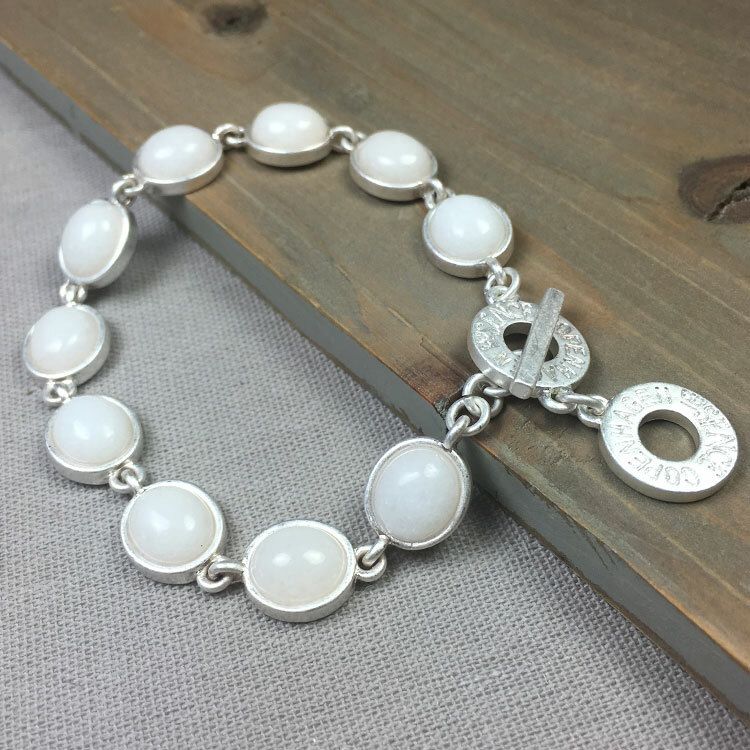 Featuring a row of tactile white agate stones, set in worn silver oval casts and finished with a t-bar fastener – the perfect gift. The Brand New Sence Copenhagen range features a unique collection of jewellery pieces from a young and rising Scandinavian designer – We feel they offer a range of unquestionably beautiful pieces. 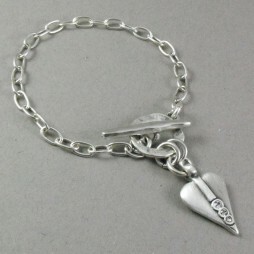 Their aim is to offer women of all ages a selection of beautiful, unique and inexpensive items, which can be worn in a way that displays their particular personal style – mixing and matching the items in their own individual way. 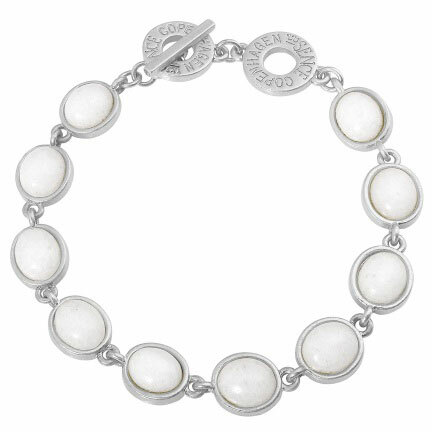 Gift Ideas, Gifts £40 - £50, Bracelets, Silver Bracelets, Sence Copenhagen. The most precious gift for somebody special. 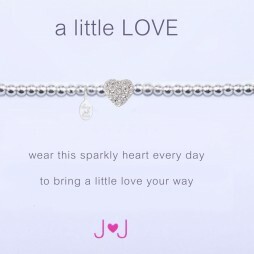 A dainty stretch bracelet made from tiny silver plated beads and a little pave crystal heart comes on a gift card with the words ‘wear this sparkly heart every day, to bring a little love your way’. 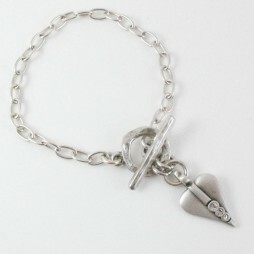 Crystals to fall in love with, the Danon Swarovski Crystal Silver Signature Heart Bracelet brings a romance and charm! 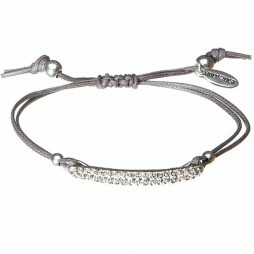 Hultquist Sterling Silver Bracelet With Black Diamond Crystals (adjustable on grey cord) from Hultquist Jewellery Forest and Glistening Earth Stone collection. Arrived quickly, just in time for my mums birthday! She loves them, a perfect match for the necklace she also received for Christmas! Look exactly like the picture, great quality. Will buy again from lizzielane!